Cosmetic surgery is a way to shave years off your appearance or to improvise your physique. If any of your body part disappoints you due to age or certain other factors you can alter its appearance with the help of cosmetic surgery. It definitely requires incisions to change the aesthetics of the targeted area. The results achieved from the surgery greatly depend on the maintenance of the area on which surgery is conducted. 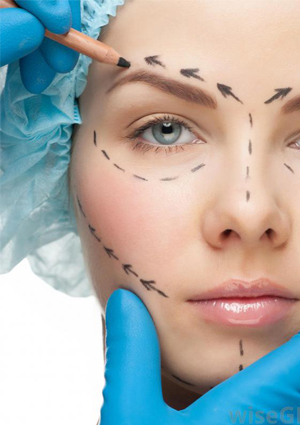 Cosmetic Surgery can be performed on any part of face (entire face, eyes, lips, ears, nose, eyebrows, eyelashes, forehead altogether or respectively) as well as parts of the body (abdomen, arm, thighs, breast, buttock) using suitable different techniques for respective areas. Hair removal & hair transplantation are also part of cosmetic surgery. In today’s world, one’s physical appearance sets a huge impact. Some people try hard to shape their body but fail to achieve the desired results, or there are unfortunate times when people lose or damage their actual looks to mishaps. That’s when cosmetic surgeons help them attain back or gain the shape they aspire. Dr. Garg is most renowned dermatologist in Delhi at Dermalife, is having years of experience in performing Dermatology treatments, is highly recommended for cosmetic surgery in Delhi.